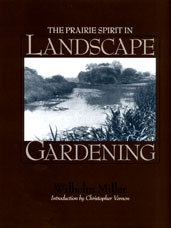 In 1901 Chicago landscape architect Wilhelm Miller (1869–1938) wrote a book called What England Can Teach Us about Gardening. He considered the English garden the model for the American garden. The same message appeared throughout the nineteenth century in the catalogs of American seed companies and nurseries, their books, and their magazines. Miller, with landscape architects Jens Jensen and O.C. Simonds, initiated the American Prairie Spirit movement in garden design. The book’s theme centered on using native plants, like grasses and wildflowers, in the landscape, and moving away from exotics. That was an important moment for the American garden because the landscape it encouraged did not include the basic elements of the English design that had been important in 19th century America. 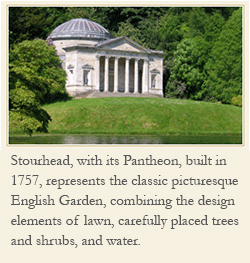 Miller’s book formed an early expression of American garden design that was independent of the English garden view. A similar view of the importance of native plants was also happening in England, especially through the work of horticulturalist William Robinson. In 1977 America Wolfgang Oehme and James van Sweden started their landscape architecture partnership and gave us a more recent definition of the new American garden. Their garden work stands today in many cities, including Washington,DC. Mass plantings of ornamental grasses and low maintenance plants form the backbone of their design principles. Recently an article in The American Gardener magazine showcased nurseryman Neil Diboll as the “Prophet of the Prairie”. Diboll’s work centers on teaching the beauty and sustainability of prairie plants. 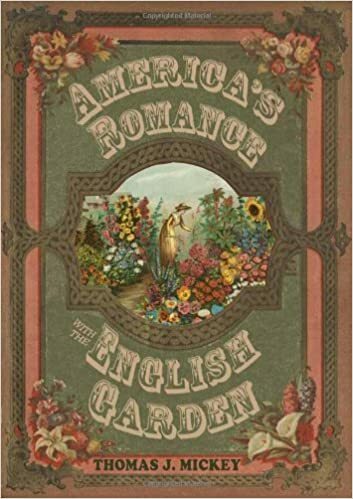 From the beginning of the twentieth century American gardening moved away from the dependence on the English garden style, which had dominated the look of the American landscape in the nineteenth century. The door opened to less reliance on exotic plants and more focus on native plants. That door is again open. Today there is renewed interest in the use of native plants, and a return to a more natural landscape. Miller was a pioneer in proposing an American definition of landscape design.